"Soho In The Fifties" is a very personal set of portraits by Daniel Farson who knew all of Soho's most celebrated inhabitants during the 1950s, and beyond, all the way into the late 1970s. 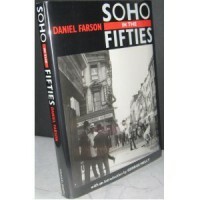 The book is split into three parts: the first details a day in the life of Soho from dawn to dusk; the second, entitled "Addicted To Soho" looks in more depth at aspects of Soho life; and finally, and from the perspective of the late 1980s when the book was written, Daniel Farson reflects on the area's resurgence. Daniel Farson convincingly and credibly evokes the 'French' pub, Wheeler's, the Caves de France, the Colony Rooms, which were all notable Bohemian venues, and - along the way - we meet such luminaries as John Minton, Francis Bacon, Colin MacInnes, Nina Hamnett, Colin Wilson, Jeffrey Bernard, John Deakin, Henrietta Moraes, Lucian Freud and Dylan Thomas. There's a strong focus on John Deakin, who emerges as one of the quintessential characters of the area during the 1950s and early 1960s. John Deakin was one of the great British postwar photographers, renowned for his penetrating portraits, haunting street scenes and inventive fashion work. He worked for Vogue however the lure of the Soho pubs undermined any hope of regular employment. 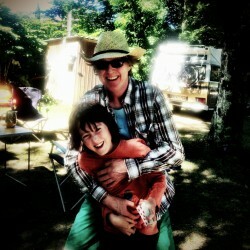 His scathing humour and putdowns are vividly brought to life, as is the extent to which he was both loved and loathed. I was gratified to notice that, in amongst the romanticised memories of the Colony Room, Daniel Farson acknowledges the morbidity of an all day drinking club whilst everyday life continues out in the world: "You feel like the fish in the tank above the cash register, swimming aimlessly among artificial water weeds, mindless in warm water". I've enjoyed a few books that explore the Soho of the 1950s. These include "Dog Days in Soho: One Man's Adventures in 1950s Bohemia" by Nigel Richardson, which I loved, and which both celebrates and debunks the romanticism that surrounds 1950s Soho and reveals some dark truths about sexuality, jealousy, creativity, revenge, status, reinvention, love, self-destruction, obsession, duty and the human condition. Daniel Farson's portrayal in this book is ultimately quite unflattering. Another book which covers similar ground is "Fear and Loathing in Fitzrovia" by Paul Willetts, which is the biography of English writer and dandy, Julian Maclaren-Ross (1912-64), and which also splendidly evokes the bohemian world of mid-twentieth-century Soho. I preferred both "Dog Days in Soho: One Man's Adventures in 1950s Bohemia" and "Fear and Loathing in Fitzrovia" to "Soho In The Fifties" however that is primarily because the other two books are so good. Anyone interested in the Soho of the 1950s will find much to enjoy in this eye-witness account of a unique place and period.